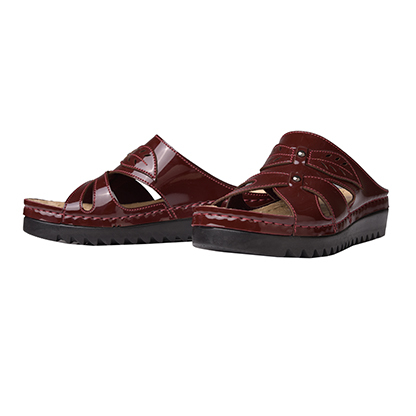 Shiny Bordeaux chunky flat forms crossover front straps, open back. Stylish but comfortable, practical and easy to wear. 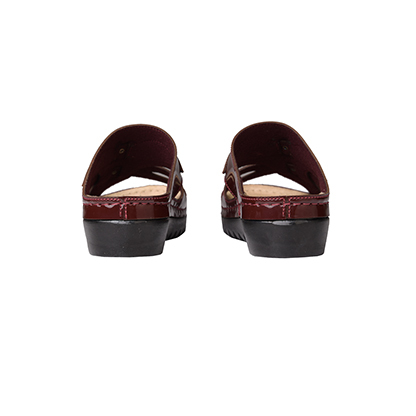 Made from fine quality materials and foam cushion insole. Team with jeans for a ready-to-go look for effortless impact-free supported steps.